The U.S. Department of Homeland Security has announced that it will now allow Taiwanese citizens entering the U.S. to mark Taiwan as their country of citizenship rather than China. 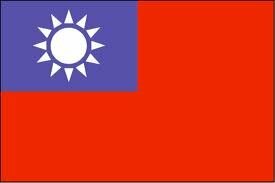 The US Department of Homeland Security has changed its policy and will now allow Taiwanese citizens entering the US to list Taiwan as their country of citizenship rather than China (Taiwan). “This is about fairness and today is a victory for the entire Taiwanese community,” said the top Democrat on the House Foreign Affairs Committee, US Representative Howard Berman. “It is an indignity to force Taiwanese citizens to list anything other than Taiwan on their US entry documents, and together we righted this unfortunate wrong,” he said. Berman protested to US Secretary of Homeland Security Janet Napolitano last month after he discovered that Taiwanese were required to write “China (Taiwan)” on their Form I-94 entry document and in the Global Entry Program. He said in a letter that it was long-standing US policy to refer to Taiwan as “Taiwan” and not to make any reference to China. “Many Taiwanese citizens travel across our borders every day — these individuals should not be required to sign their name under an inaccurate statement in an official government document,” Berman told Napolitano. This week, US Assistant Commissioner for Customs and Border Protection Michael Yeager wrote to Berman saying that he had “looked into and corrected” the situation. “Henceforth, persons presenting Taiwanese passports will have their country of citizenship listed and recorded as Taiwan on their respective Form I-94 and the Global Entry Program application process will refer to Taiwan,” Yeager said. The matter was first brought to Berman’s attention by the Formosan Association for Public Affairs (FAPA) after their members complained. “We are very grateful to Congressman Berman’s steadfast efforts over the past 20 years to ensure that the official US policy regarding Taiwan’s name is faithfully applied by all US government agencies,” FAPA president Mark Kao (高龍榮) said.